How was the transition from writing scripts for HBO to full length novels? There wasn’t much of a transition from working on the HBO pilot, as I had almost finished the novel by the time I started writing the to HBO project. I had worked on The Evolution of Robert Carr on and off for several years before dedicating myself full time to it. It was an idea that I knew I wanted to pursue but at the same time I was always fortunate enough to have regular film and television assignments that kept me busy. So the novel took a backseat for a while and it became obvious that if I wanted to finish writing it, I would have to carve out extra time for from my regular schedule. So I did. When I finished my last feature film assignment for Universal, a sequel to Midnight Run with Robert De Niro attached, I carved out about six months of time on which to singularly focus on the novel. Then I began work on the pilot for HBO. Writing a novel differs in many ways from feature and TV writing assignments. For one, in Hollywood there are numerous meetings before you are even allowed to go off and write. And there are many cooks in the kitchen, so to speak. You get notes from producers, producer’s executives, studio and/or network executives. Not exactly a process that allows for much genuine self-expression (there have been a few exceptions). And since the studio or network is paying you to write the script you pretty much feel obliged to take the notes. There can of course be some pushback, but if you don’t at least take the larger notes/suggestions seriously you risk having the project dumped. The actual writing process and formats are also obviously very different. In screenplays or teleplays you have far less time (pages) to convey the story. So character back-stories, dialogue and scene description ends up becoming very compressed. Typically everything is sacrificed to service the plot and the story’s momentum. There is also little room for (or understanding and appreciation) of nuance. The novel was, for many reasons, a more satisfying experience. Since I was the one making all the story choices it was uncompromised creatively. This unfettered freedom allowed me to include all the ideas that I was interested in without them being overly vetted and second-guessed. For instance, the satirical tone of the book is much closer to my natural voice and would never really be tolerated in a feature script or assignment. The sardonic undercurrent of the story is too idiosyncratic for typical Hollywood stories. You can occasionally get away with some social commentary but its pretty tame stuff. 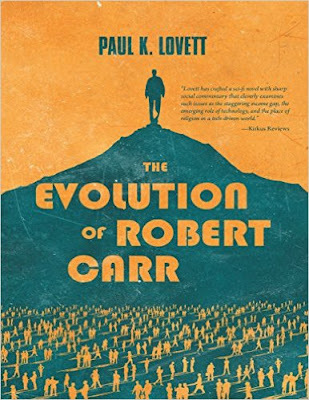 The edgy, political, antiestablishment themes in The Evolution of Robert Carr would be looked at as too far out of the mainstream to be considered as a movie. Which is one of the reasons I chose to write it as a novel. That and the fact that, as stated above, you have more time (or real-estate as I call it) to tell the story you want to tell without being rushed. Novels are also better suited at getting across and exploring ideas. Paul K. Lovett is a seasoned Hollywood screenwriter with the emotional scars, caffeine addiction and chiropractic bills to prove it. He is best known for the feature film Four Brothers, starring Mark Wahlberg. 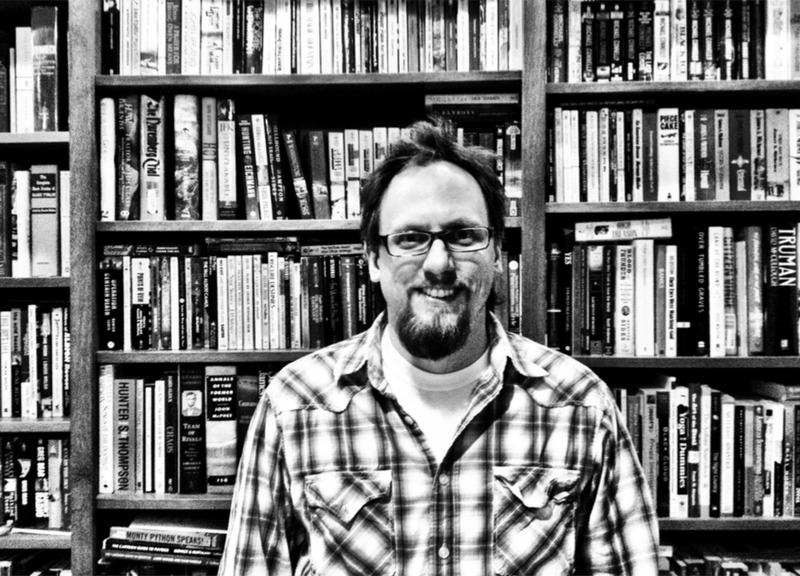 Paul has penned over thirty scripts in every genre for most of the major studios, including Universal, Sony, Paramount, Fox, Disney, Dreamworks and HBO. The Evolution of Robert Carr was born out of a desire for genuine self-expression, resurrected from the smashed and trampled piñata pieces that once comprised Paul’s creative integrity. He lives in the Pacific Northwest with his wife and daughter.